VOTE YES ON CHARTER QUESTION 2 - One City, One Fire Chief, One Unified Fire Service! NO NEW TAXES ! 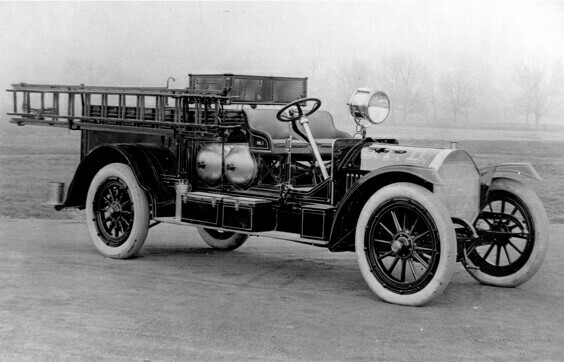 What's New at Stamford Fire Fighters Online! 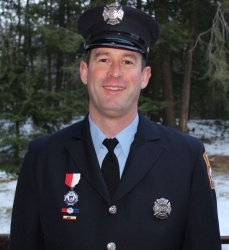 Stamford Fire Fighter Receives 2013 Ray Downey Courage and Valor Award !! Local 786 Members Go Hollywood ? May 17, 2010 - Four Stamford Fire Fighters were recently hired as extras for the film "We Need To Talk About Kevin". The production of the movie is currently underway in Stamford and featured Academy Award Winning Actress Tilda Swinton and Academy Award Nominee Actor John C. Reilly. 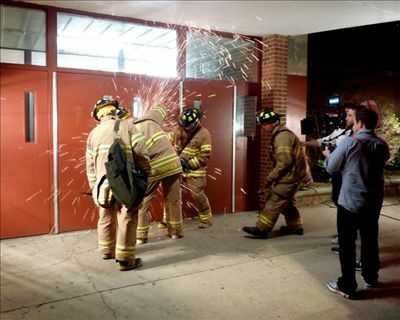 Local 786 Members were used as Fire Fighters during a scene in which forcible entry was needed to enter a High School that had been over-taken during a Columbine-like event. Members of the Stamford Police Department and Stamford Emergency Medical Services also were hired as extras and participated in the filming of the same scene.